For our third installment of "What's new in Pico-8" we have a treat. Would you believe someone has created a full voxel terrain engine in the diminutive fantasy console? Well someone has and unsurprisingly it was user electricgryphon, with a de-make/fantasy prequel to the venerable Comanche series of helicopter sims. ARE YOU FREAKING KIDDING ME? 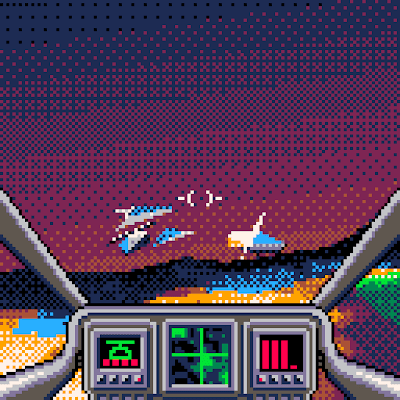 A full-on 3D terrain engine and flight sim in Pico-8? Yeah baby! 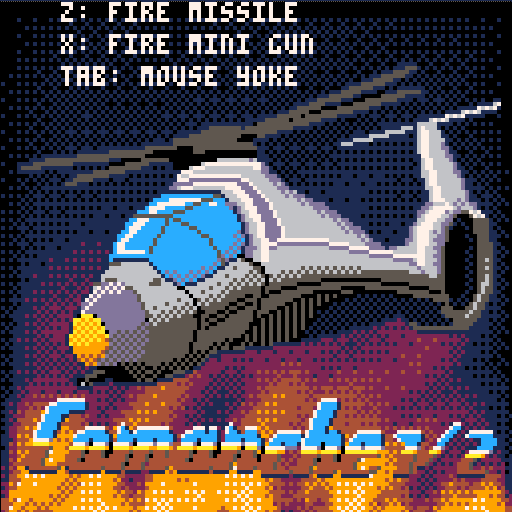 Electricgryphon really pulled it out of the bag and we now have a very stippled, mini version of the original Comanche: Maximum Overkill voxel engine that was setting VGA cards on fire in 1992. Even the title screen is faithful re-creation of the Comanche 3 box art but in 128x128 and 16 colours! Looking at the comments on the BBS thread for it, there have been several iterations and a few kinks still to iron out, but it's already quite playable with cannon fire and missiles to shoot at some simplified (think Vipers form Elite) enemy craft as you fly over a randomly generated mountainous terrain! 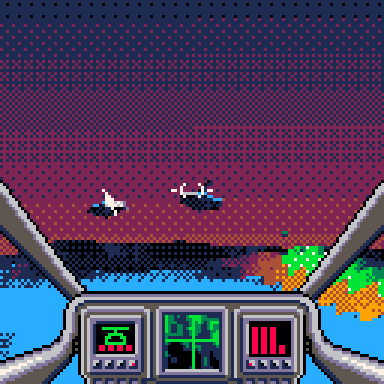 Of course as it's Pico-8 there are tradeoffs to be had... with a complicated terrain engine, something else has to give and that's essentially any kind of mission or level structure, so as of now, you fly around (unable to crash BTW) and shoot whatever you can! Simples!